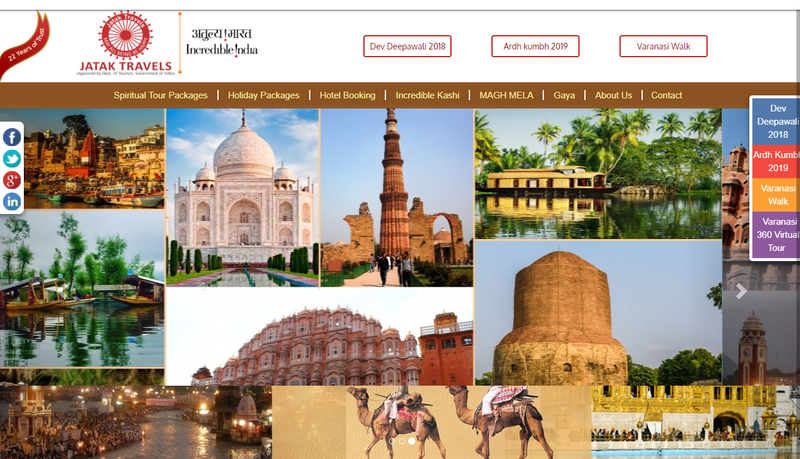 We have proudly introduced Jatak Travel as a pioneer in authentic spiritual tour organizer in and around Varanasi and rest of India to cater the real need of Spiritual tourists in India and abroad. Please find below there company profile and attached very well designed spiritual Tour itineraries for your esteemed guests. We have several innovative Tour itineraries for in & around Varanasi which will certainly satisfy the spiritual Hunger of any Hindu Travelers. This city has limitless treasures to give …Explore … Observe and absorb into your heart, Re-energized your Mind Body & soul and we are here to assist you to explore Varanasi If You can! Mark Twain says: “Benaras is older than history, older than tradition, older even than legend and looks twice as old as all of them put together”.